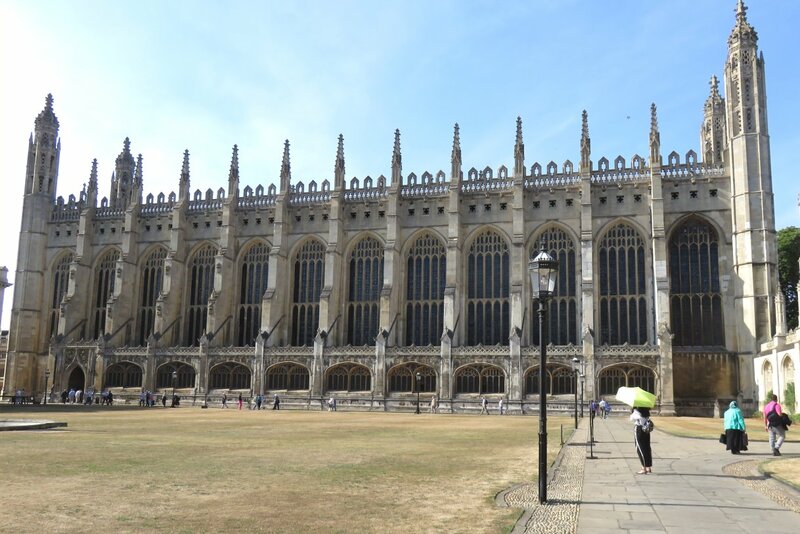 Last year's IAO Festival, attended by several BOA members, was based in Peterborough and Cambridge and amongst many highlights it featured a complete performance of Widor's Fifth Symphony by Martin Baker in the chapel of King's College. 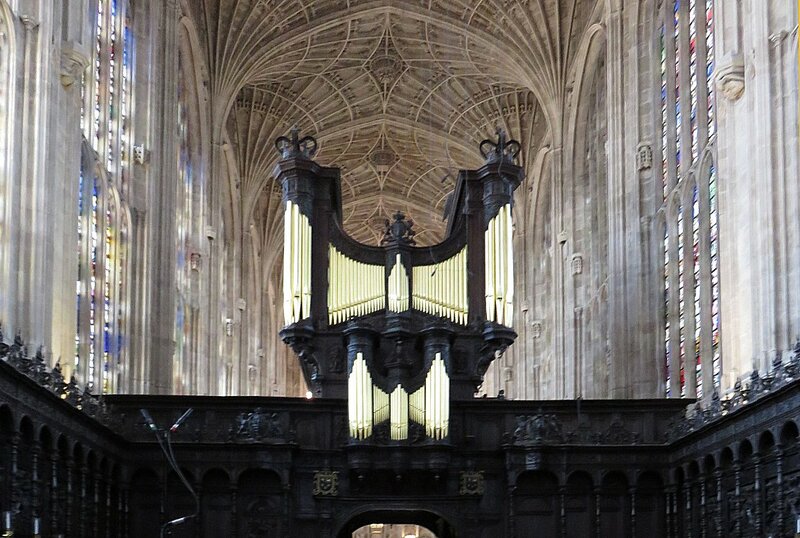 As we begin a sequence of organs visited during the 2018 IAO Festival, it seemed appropriate to start with what must be one of the most famous organs in the world, so that it would become our Organ of the Month number 200. For many of us, this was the first time we had heard this instrument "live" since the 2016 rebuild, which included the luxury addition of an adjustable Pedal divide. The instrument first appeared in its present form following the 1934 rebuild by Harrison & Harrison, but using some pipework from previous era, including that by Hill. The specification was drawn up in consultation with Boris Ord, organist 1929-1957. A significant overhaul occurred in 1968, when six new stops were added. In 2009, a stepper was added for the general pistons which now have 512 levels of memory. 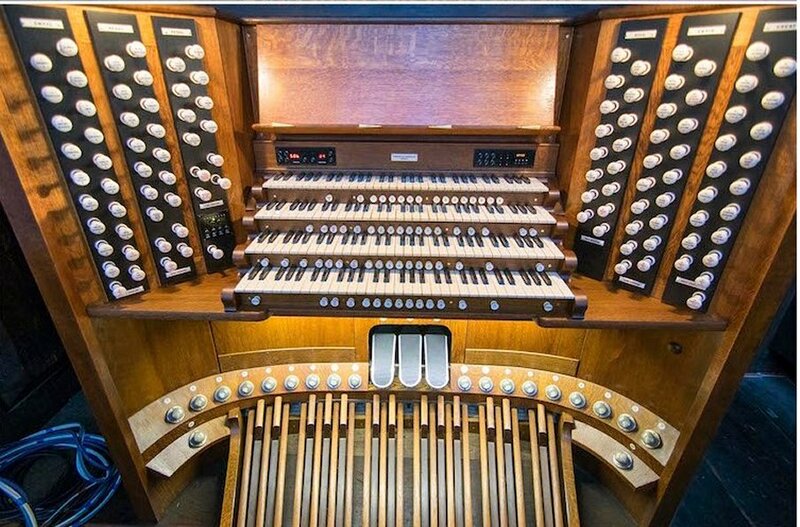 The recent (2016) rebuild involved cleaning and repairs, using new materials and techology, to the inner workings of the organ; but there has been no signifcant tonal alteration to this iconic instrument. You can see and hear Nathan Laube playing this organ at its reopening recital as February 2019's Music of the Month.